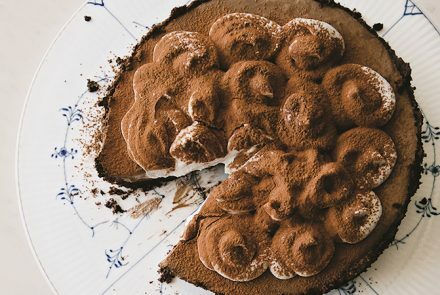 We love this served with espresso after dinner — or straight out of the fridge after midnight. 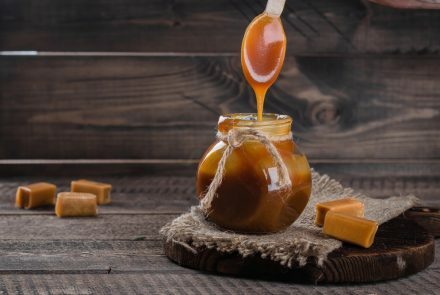 Our favorite way of serving this Vegan Caramel is on top of sliced bananas, or with a piece of dark chocolate. 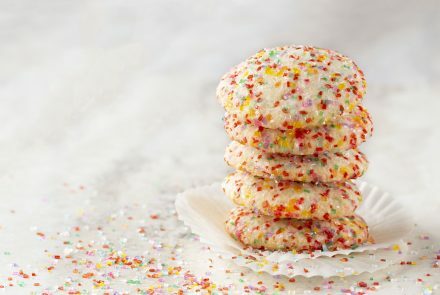 You only need about 30 minutes to make a batch of these buttery sugar cookies. 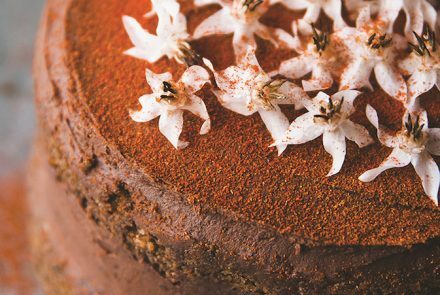 A quick roll in coarse sugar before baking really makes them shine. Wrapped, the cookies last for about two weeks. 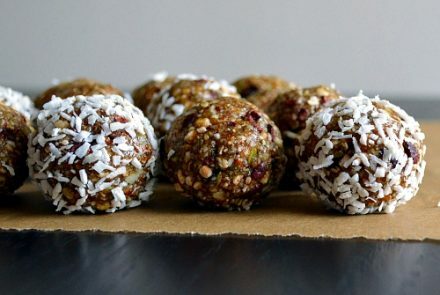 This easy, no-bake recipe is quick to prepare and is a good one for little helpers, who can enjoy rolling the mixture into balls. 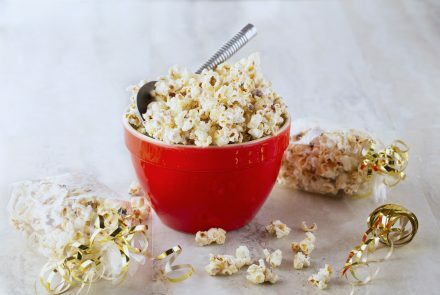 Homemade kettle corn tossed with spiced white chocolate makes for an ultra-tasty holiday treat! Present the popcorn in cello bags tied with colorful ribbon or in a wide-mouth quart canning jar. 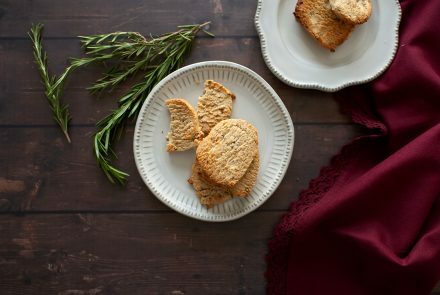 Prepare these simple yet scrumptious shortbread cookies ahead of time for a party or to have on hand for when guests drop in. 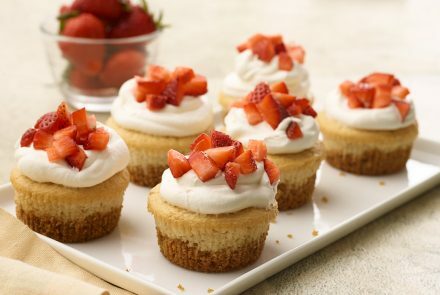 These tasty, bite-size versions of the classic dessert are the perfect size to share with a pint-size friend. 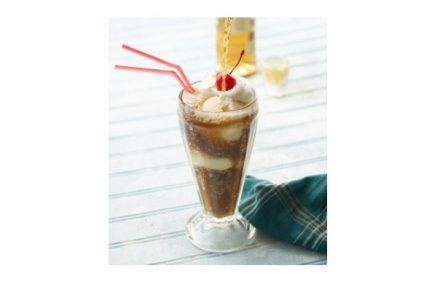 Throw together some ice cream and rum and savor yourself a rum root beer float. 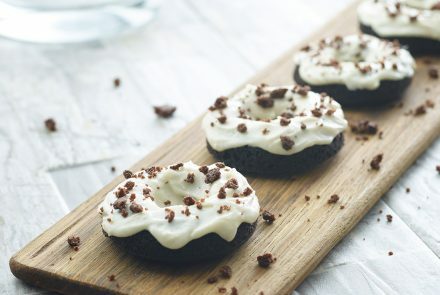 These donuts combine chocolate cake donuts frosted with creamy vanilla frosting, all topped with crushed chocolate cookies.